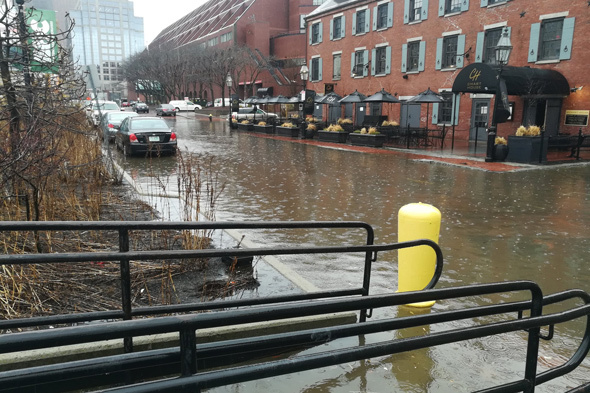 As has become usual during nor'easters, Long Wharf flooded this afternoon. Human, Actual Size surveyed the briny deep where people normally walk. Read more. 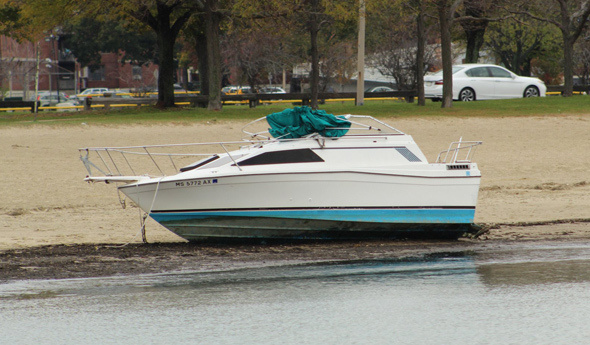 Eileen Murphy reports this boat washed up on the beach in South Boston during yesterday's storm. 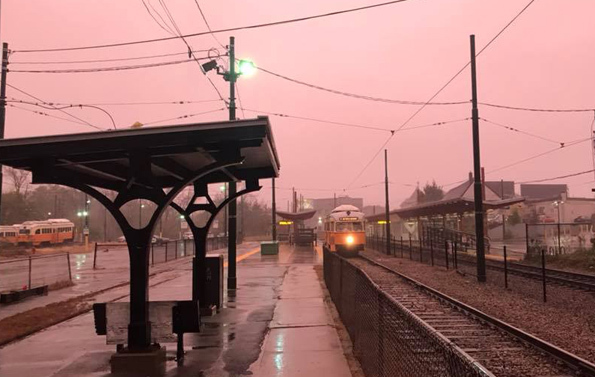 Tim Murphy captured the pink skies at the tail end of the nor'easter over the Mattapan Line late this afternoon. 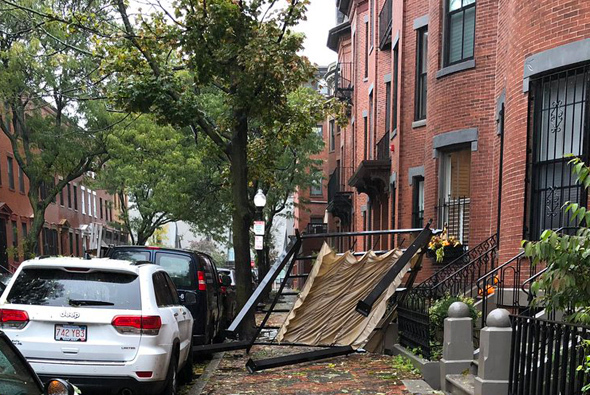 Jonathan Berk reports a roof pergola became a sidewalk pergola on Milford Street in the South End today - after first smashing into a couple of parked cars. 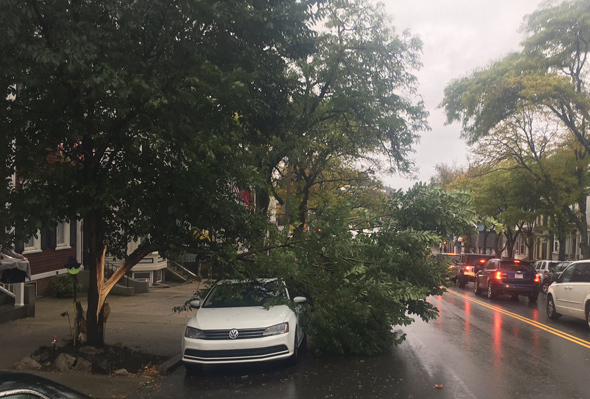 Ben Walsh spotted this newly cleaved tree on Broadway between L and M this morning. Willa we get a nor'easter this weekend? It looks that way, in a storm that will feature the remnants of Hurricane Willa. But at least it'll be rain on the coastal plain, rather than snow. "The hell am i supposed to do with all this leftover French toast?" Steve Saleeba asks. 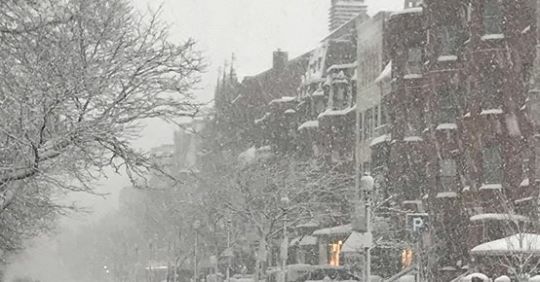 "There ended up being just too much dry air in the lower to mid levels of the atmosphere to support much snow across southern New England," the National Weather Service explains. Still, the storm had its moments: Read more. Kids go "Yay!" Kids refuse to listen to parents about how this means they'll have yet another day of school at the end of June. The National Weather Service has issued a winter-storm watch that goes into effect Wednesday morning and we've got at least one local forecaster begging people not to blame to blame her for what could be up to ten inches of heavy, wet, power-line-snapping snow coming Wednesday into Thursday in what would be our fourth nor'easter of the month. So, really, what choice did the French Toast Alert panic analysts have but to up the alert - get some milk, egg and bread tomorrow. H/t John Hanzl for the title. The Patriot Ledger reports that when one of his tenants asked him to move his car from his house's driveway during Tuesday's blizzard, he responded by flashing a gun at her. 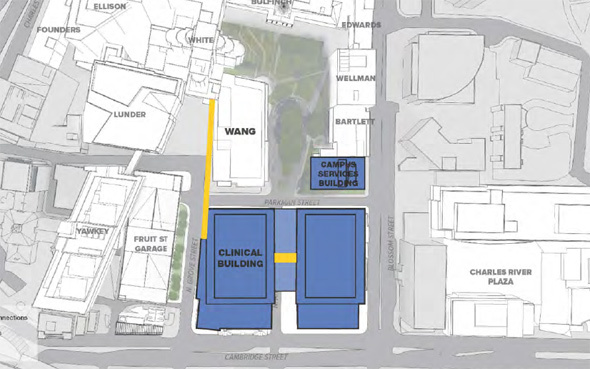 The landlord says the tenant shouldn't have been parked in the driveway to begin with. 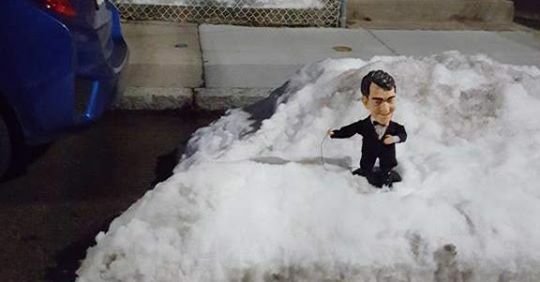 Robin spotted this mini-Dino space saver tonight on Hastings Street in West Roxbury. WBZ reports on the incident in last week's storm. Liam and a friend, both Alaskan natives and so a bit familiar with snow, were trekking through the South Boston waterfront as the storm wound down last night and wound up at Fan Pier, where they got to see a plane taking off from Logan just as a band of clouds was moving out. "Really nice morning to shovel," Garry Waldeck says in Charlestown. Mark Smith enjoyed the morning glow on Peters Hill in the Arnold Arboretum: Read more. Laura Manning strolled down Newbury Street Tuesday afternoon. 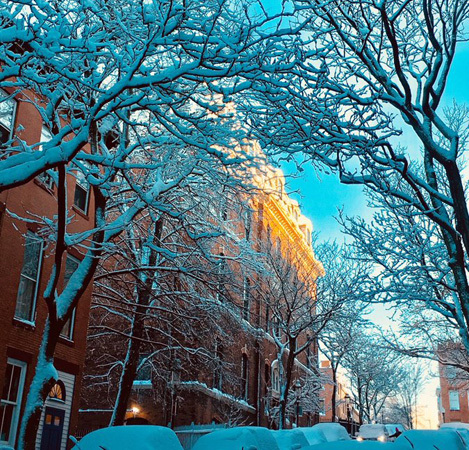 Christopher Haynes watched a man dressed as Elsa push a couple of cops in a prisoner-transport van out of a snowy jam outside the Gallows in the South End tonight. Charley A went for a walk across Boston Common tonight. Also on the Common tonight: former Obama White House photographer Pete Souza: Read more.